"O to have been brought up on bays, lagoons, creeks, or along the coast!" 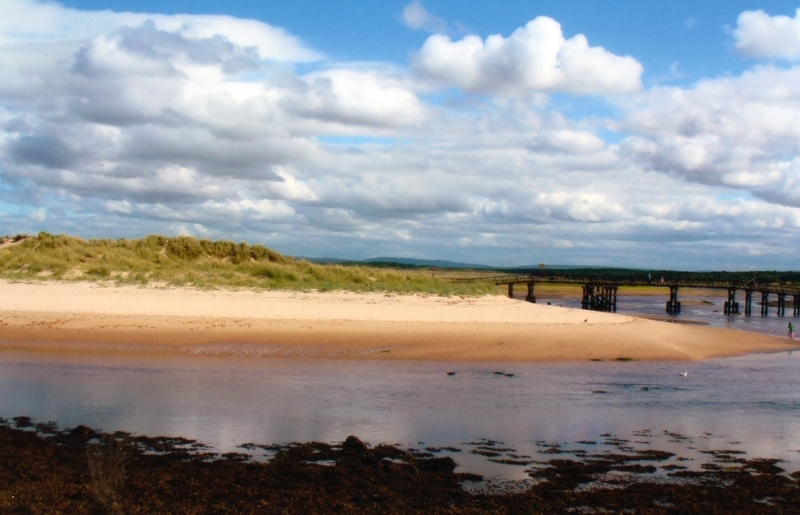 A long sandy beach with the mouth of the river Lossie. the Harbour and the town at its western end. Lossiemouth East Beach is adjacent to the Moray Coast Trail. The tide at Lossiemouth East Beach is currently falling. Low tide will be at approximately 11:39 AM, and the next high tide will be at approximately 6:05 PM. There is limited parking neat to the beach. Visitor information for Lossiemouth East Beach, Moray, Scotland. Weather, tides, visitor comments, beach facilities, photos, nearest postcode, beach information and nearby accommodation.